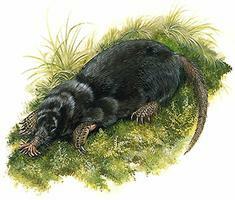 Van Zyll De Jong, C.g. . "Mole". The Canadian Encyclopedia, 18 May 2018, Historica Canada. https://www.thecanadianencyclopedia.ca/en/article/mole. Accessed 22 April 2019. Mole, common name for 20-29 species of predominantly burrowing insectivores of family Talpidae restricted to Eurasia and N America. 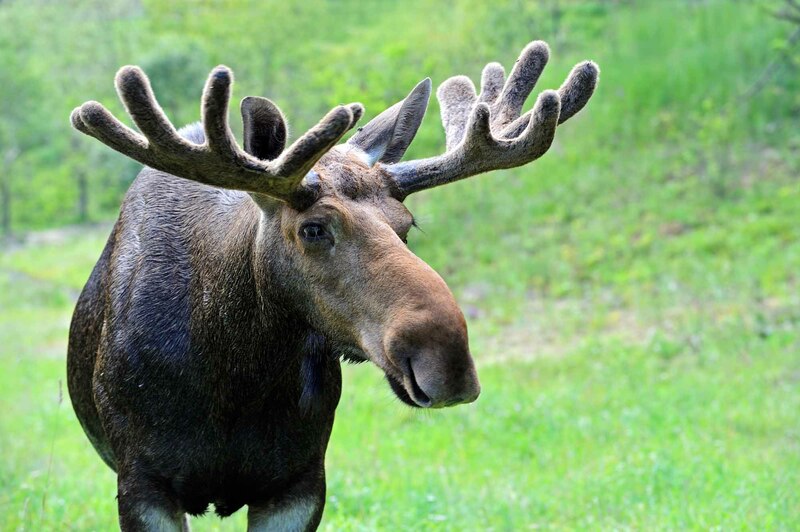 Six species occur in Canada. Like all moles, this coast mole spends most of its life underground. It eats its body weight in insects every day (artwork by Jan Sovak, 1989). 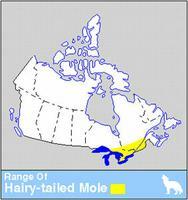 Shrew, coast and Townsend's moles (Neurotrichus gibbsii, Scapanus orarius, S. townsendii respectively) live in extreme southwestern BC; eastern mole (S. aquaticus) in Essex County, Ont; hairy-tailed mole (Parascalops breweri) in forests of Ont and Qué; and the somewhat aquatic star-nosed mole (Condylura cristata) from the Maritimes to Man and N to the boreal forest. 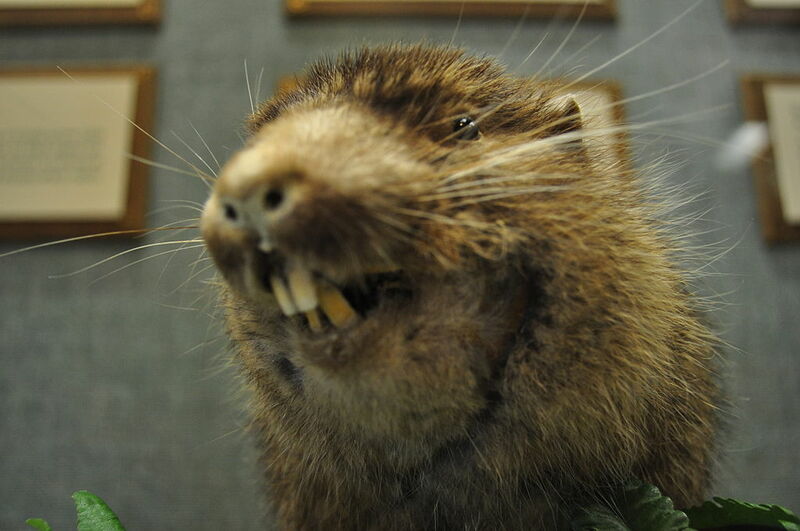 Moles have cylindrical bodies; dense, velvetlike fur; pointed, mobile snouts (with fingerlike appendages in the star-nosed mole); minute eyes and external ears greatly reduced or lacking. The 5-toed feet show varying degrees of adaptation for swimming (Old World water moles) or burrowing. Moles usually mate in spring; gestation lasts 4-6 weeks; litters average 2-5 young. They may live 3-4 years. 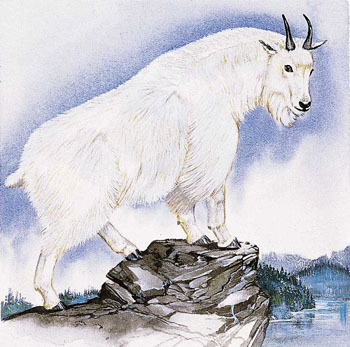 Canadian species are largely subterranean, preying mainly on soil invertebrates. They may eat their own weight in food daily.